Why become a consultant? 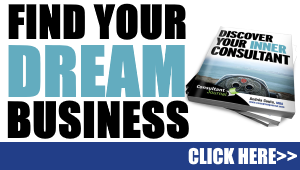 Become a consultant and change your life. When you become a consultant, you’re saying goodbye to the predictability, normalness, routine and safety of a regular job. You’re venturing out on your own, into unknown territory. From here on out, you’ll need to survive by your wits, not a paycheck that appears every two weeks without question. The hours may be long and the pay may be meager as you start out. 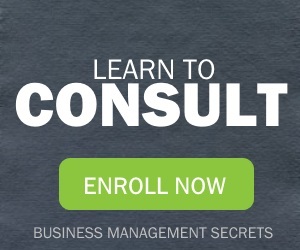 But, in the long term, your decision to become a consultant may be the best thing for you. You’ll call the shots (well, except when your clients do). You’ll be in charge of scheduling your time. You can refuse projects, dump clients, and focus on work that interests you. You set your rates. Moreover, you can become a consultant without spending much money. Often, all it takes to become a consultant – at least on paper – are a computer, business cards, a telephone and an Internet connection. Of course, to truly become a consultant, you’ll need clients, expertise, experience and other important pieces of the puzzle. 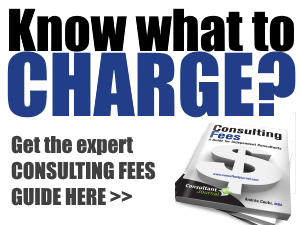 But, unlike starting a restaurant or a store, you can set up your consulting business with minor costs. When I started my consulting business, I was still fresh in my career. Some people thought I had a lot of gall to be calling myself a consultant and said I was taking big risks. To me, the biggest risk I could see was staying in some job where I felt trapped working for someone else, where I couldn’t really stretch and grow in applying my expertise, and where I was limited in salary. While I loved working with other people, loved many of the projects I was working on and loved the great things the company was doing, I knew I wasn’t a “company man” or “company woman”. 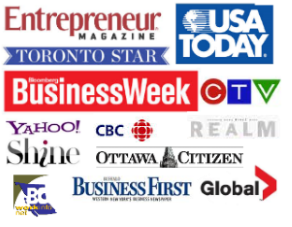 I knew I was an entrepreneur and that I wanted to build my expert status. Fortunately, I had an understanding boss who encouraged me to build up my business on the side and actually started referring work to me. All these years later, my co-workers from that company continue to champion the work that I do and support me in running my business. Why become a consultant? For you, this may come down to other personal reasons. If you’re having trouble articulating just what your reasons are, take a look at our Discover Your Inner Consultant workbook, which is available on its own or as part of our consulting course. This workbook includes a personal inventory that can help you identify and nurture your passion and hone down the kind of business you want to start. You can also try working through this process on your own or with a career coach – it’s important that you find some way to identify your passion, tie it to a business model and get ready to take the next step.